Outsourcing SEO is a major challenge in an industry full to the brim of cowboy firms and have-a-go newbies. We've put together the characteristics of the best SEO company but it's worth getting to know the tell-tale signs of a bad one. Avoid outsourcing your SEO here even if the price seems low. Bulk solutions and one-size-fits-all approaches rarely work. Look for a company that considers your website and its' individual requirements. Many have-a-go SEO companies or 'specialists' pop into existance overnight having read a little and believing they can earn a lot. They concentrate on the types of activity they know how to do rather than the ones that could benefit you. Their limited skill and experience can lead to disaster. One of the most common mistakes is that they change your page titles and URLs to be more Search engine friendly but do not put in place code to tell search engines about the changes. The search engines then can't find your old pages, are not aware of your new ones and so you loose any rankings you have. These are to be avoided at all costs. If you don't know what a company is doing in order to optimize your website don't be surprised when their work comes back to bite you. The only 'top secret' methods in SEO are black hat ones which usually achieve short term success followed by the site being banned outright from search engine results. You'll find the websites of all reputable SEO companies contain vast amounts of information on how they approach SEO, experiences they have had and experiments they have done ... just like this one!. Most SEO companies charge up front for their work but if this is the first time you have dealt with one discuss staging any work and making payments appropriately. A SEO professional or firm should be able to show you their capabilities for under $1,000, even if that is just an audit and report on your website along with their recommendations which demonstrates a clear and broad understanding of search engine optimization that matches the knowledge of reputable SEO sites. 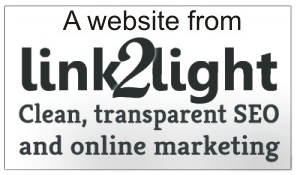 One get around trick these SEO firms often try is to tell you their clients are "top secret". This can be valid, many of my clients are top secret but a whole lot of them aren't. However if a SEO company is worth it's salt and all their clients are secret that they should have been able to make a website themselves that ranks for a fairly popular keyword. Ask for that keyword and check it's ranking in Google or Bing. Use the Google Keyword Tool to check that it is a popular word of phrase because it is fairly easy to rank for phrases no one ever searches. If they can do it for themselves, perhaps they can do it for you. My own personal example was to create this website and get it to rank on the first page of Google for 'How to SEO your website'. Its a medium competitive keyword phrase and if I can do that for my business I can do it for you. It is tempting to believe that a company that ranks near the top of Google for "SEO" must actually be quite good at Search Engine Optimisation but it's not always true. Many of Google's top ten seo firms are actually there because they could leverage previous clients. One, who shall remain nameless, was well known for building websites and so had built up a vast portfolio of clients over the years. When SEO became popular they added a link to all of those websites that said "SEO" and linked back to their website. 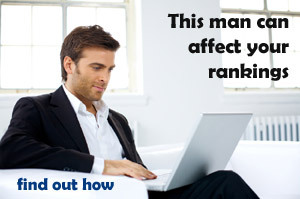 Overnight they were in the top 10 simply due to the vast number of links despite having no track record in SEO! Even if a company appears in Google's top 10 after you search 'SEO' proceed with the usual caution covered in The best SEO company.